We are a small home based breeder of Family Raised, Grand Champion, AKC, Top Quality Boxers & Pugs located in Deer Trail Colorado. 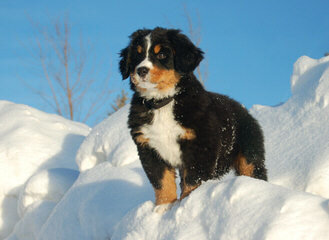 We have been breeding exceptionally sound and well socialized puppies for over 17 years. We raise Toy Australian Shepherds. We are located in Northeast Nebraska. Our puppies are raised inside our house, so they are well socialized, loved and cared for. They are part of our family. 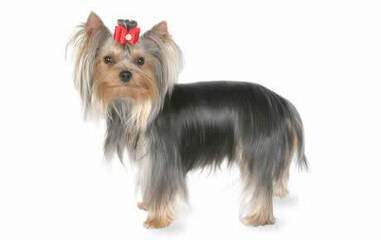 We breed for socialization, temperament and standard look. Welcome to Fullerton’s Toy Aussies! Our program is made up of some of the finest individuals this breed has to offer. Everyone of our breeding dogs has their genetic testing done before they are entered into our program. 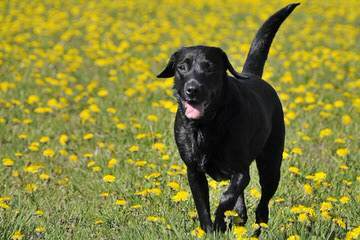 We are able to offer you current, proven pedigrees, show conformation and many of our dogs have their Championships. Our girls and boys have adequate to heavy bone structure but most of all we offer some of the sweetest dispositions you will ever find. Our dogs “love” their people!! We do not run a kennel. Each and every one of our little Aussies lives with us in our home 24/7. 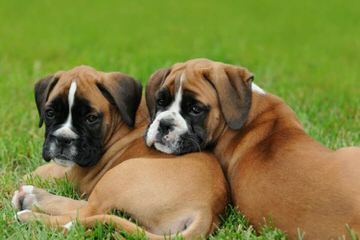 These dogs are extremely well socialized, get along with other dogs well, live in harmony with our cat, horses & grandbabies. We live on a 71 acre farm in Bayard, Nebraska so our Aussies have room to roam and learn about life. 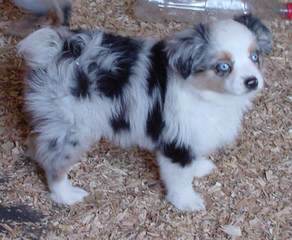 Owning a Fullerton’s Toy Aussie is one of life’s best experiences and we welcome you to join our love for the breed. 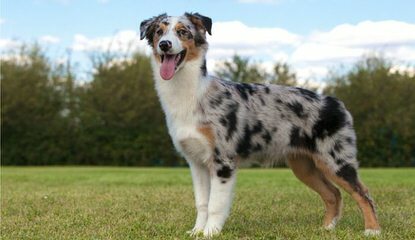 Whether you are a first time Toy Aussie owner or just adding to your current collection, you will find that our puppies will stand up to the test of time. Fullerton Toy Aussies are Champions producing champions!! 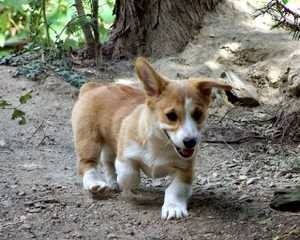 We have select individuals that will please the most ardent breeder or enthusiast. 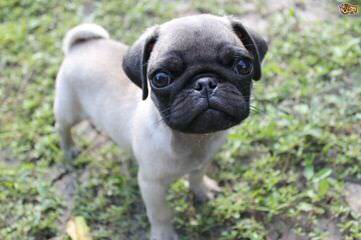 We offer puppies that will be wonderful additions to your program for both pet owners and breeding facilities. We pride ourselves on customer satisfaction. 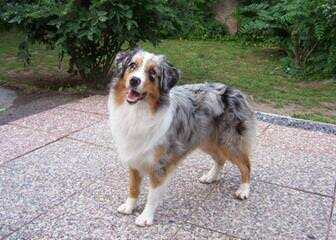 We can supply lots of references for you of happy puppy owners who have trusted Fullerton’s Toy Aussies in the past. 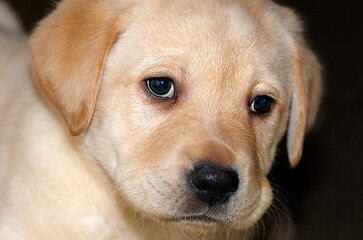 The puppy you purchase from us is a partner for a lifetime! We have selected our Shih-Tzu adults from some of the best lines in the United States. Our Shih-Tzu puppies are bred for health, beauty, and loving dispositions! Empress Shih-Tzu puppies have AKC champion bloodlines, and some are show quality. We produce high quality PUREBRED Shih-Tzu! Our adults range in size from 4-10 pounds. Our puppies are raised in our home, to ensure that you are getting a socialized, healthy, happy Shih Tzu baby. 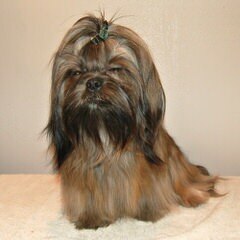 Our breeding Shih Tzu are all AKC registered. Although there are many other registries available, we feel that the AKC fits our standards the best. We specialize in all of the designer colors that a Shih-Tzu comes in: vibrant red, true blue, dark chocolate, white liver, black and tan, and the standard gold/white and black/white. Every one of our Shih Tzu puppies come with their first set of shots, wormings, and carries a written five-year health warranty. Our babies have wonderful coats, beautiful faces, short and cobby bodies, and gorgeous heads. Our top priority is to produce healthy, happy, high quality Shih-Tzu puppies. It is our belief that everyone should be owned by a Shih-Tzu! This is a very rare breed of Bulldog. They are very smart, protective, and wonderful with kids. Pups have excellent personalities, dispositions, and are worked with from birth by me nurturing and assisting the mothers with supplemental feedings to the pups. This helps to reduce the stress on the female and humanize the pups. All pups are socialized, and come with health certificates, first shots & registration paperwork. Gage, Page, and Kali are our house pets, not kennel dogs. Prices on pups range from $1000-$1800 with a non-refundable $200 deposit to hold, pups are on a first come-first serve basis, so it is suggested to place a deposit on the pup to hold. Shipping costs varies on location to be shipped to (I search for the most economical way to ship, for the prospective buyer). Postal Money Order, Paypal, or Cash is accepted. Serious inquiries Only—No Scammers!! Call Cary McCarty at (402)452-9672 if interested and I will email pictures to you upon request. 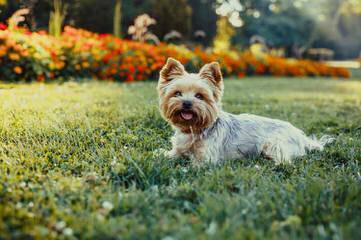 We strive to produce dogs that are happy, healthy and well adjusted. 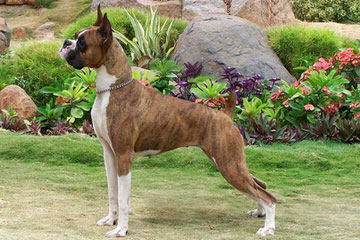 Our breeding dogs are OFA’d, PRA/prcd, and MDR1 tested. Eyes are also cerf’d. Mini Aussies make wonderful additions to a family. They are happy, playful, and love their families! Visit us today! Dakota Shiloh’s was established in 2008. 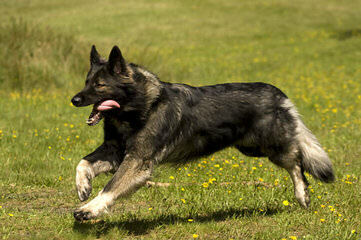 Bred for Ability, Temperament and Style! Excellence is our progeny standard. Please visit our site for photos, videos, awards, history, available companions, upcoming litters and additional information. 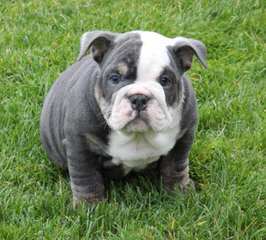 Champion Sired English Bulldog Puppies!